Hearing loss is one of the most common disabilities in the United States because there are no warning signs, which means practicing workplace hearing safety can help to prevent these problems. According to the Occupational Safety and Health Administration, 30 million workers experience hazardous noise while on the job. Recent innovations reduce or eliminate workplace-induced hearing loss. According to the Centers for Disease Control, 44 percent of carpenters and 48 percent of plumbers experience workplace-induced hearing loss. Hearing impairment costs the government billions of dollars on social security disability and Workers' Compensation settlements. Noise levels measure in decibels (dBSPL); the louder the noise is, and the higher the decibel is. The federal government's guidelines indicate Americans should not expose themselves to extremely loud noises for long periods of time. Decibels measure on a scale of 0 to 140 dB. Higher decibels provide instant hearing loss if experienced in close range. The decibel system uses an exponential scale, which means that an increase of 10 dB means the sound is ten times louder than before. The decibel measurement is a technical unit used by health officials and the medical community, the numbers translate according to the scenario type. According to federal regulations, employers need to provide hearing conservation devices if employees sustain noise levels in excess of 90 dBSPL. Limit the amount of time you spend with loud noises according to the rated decibel to prevent hearing loss. Prevention is the only cure for hearing loss, as it is currently not curable. If you experience a very loud pulse sound in excess of 100 dB in close range, your hearing may be immediately compromised. Tinnitus, which is the "ringing" in your head, occurs after loud sounds. Tinnitus usually dissipates over time, but it is possible to experience symptoms for life. Loud noises over time damage the structure of your hair cells and auditory nerves. Hearing loss occurs when the auditory nerve becomes severely damaged. The nerve does not regenerate itself and causes the brain to lose communication with the auditory senses. The auditory nerve carries the sound you hear to your brain, where it processes the data. For example, when you hear the doorbell, you know that you need to answer your front door. Take control of your hearing in the workplace by practicing workplace hearing safety and monitoring your exposure to hazardous noises. Use protective ear wear whenever you are working in loud environments, such as on the factory line or in production environments. Decrease the length and exposure of the noise you do experience because hearing loss is irreversible by regeneration or medical procedure. Utilize and wear hearing conservation devices, such as earplugs and earmuffs. Ensure that the device has an airtight seal, which ensures that the loud sounds will not penetrate your eardrums. Use noise-cancelling headphones if you are recording live music. The ear protection devices should be used at work, as well as when you are home performing routine tasks, such as mowing the lawn or using chainsaws to trim foliage. Extremely hazardous noises experienced up close, such as a firecracker, can damage your hearing permanently on the spot. Earplugs are tiny devices that you place inside your ears to block harmful sounds. Earplugs can be custom-made or purchased in retail stores. Disposable earplugs are ideal for occasional use, such as when mowing the lawn or using heavy machinery. Noise muffs are ideal when you expose yourself to loud noise on occasion throughout the day. Some work conditions do not allow earplugs for safety reasons; thus earmuffs absorb sound before it penetrates your eardrums. The muffs should form an airtight seal against your face and completely cover the ear. Wearing glasses or earrings decrease the effectiveness of the muffs. Earmuffs provide better protection compared to earplugs because of their ability to block high frequencies. Earmuffs are more expensive than earplugs, and not to be used for long periods of time.They are difficult to wear when in tight spaces, and are not compatible with head accessories, such as glasses. 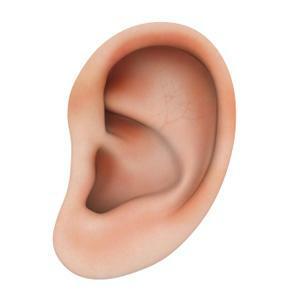 Ear canal caps are a combination of earplugs and earmuffs. The headphone-like design features two ear caps that plug directly into your ears. They are much smaller than earmuffs and do not interfere with glasses, with models designed for over the head and behind the head operation. Ear canal caps are not effective at blocking noises exceeding 95 dB.